Whenever I want to try a new colour combination on a piece of furniture I like to test it first. Just before I started work on a recent Test board Frank suggested that I make it a piece of art that could potentially accessorize the sideboard we were about to paint. Brilliant! I had been working on some new stencil art based on an image transfer from the Graphics Fairy, so I decided to test it on this piece. Do you love the Graphics Fairy as much as I do? 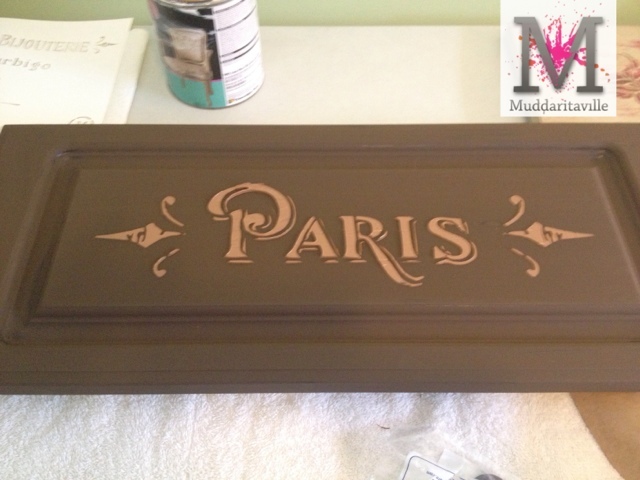 I painted a Restore cabinet door in Balsamic first, once it was dry I placed my stencil. For this stencil I used a sticky back 8.5 mil Ultra Mask material. Here is the cabinet with the embossing plaster in place, now it's time to let it dry. This is a large area so it took about 3 hours for the plaster to dry. 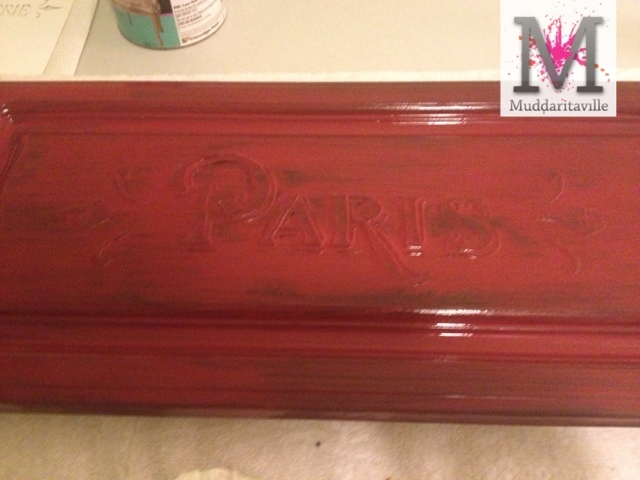 Once the Revenge dried I gave the piece a coat of Muddaritaville's studio colour "Sangria" it's a burgundy red. I love the translucent quality of this. I left this overnight to dry. I then gave the piece a coat of Cashmere (which I later changed to Muse but I didn't photograph those steps) Isn't it funny when you go through a stage of not liking your results you stop taking pictures. Oh well, not to worry, we got it back on track! 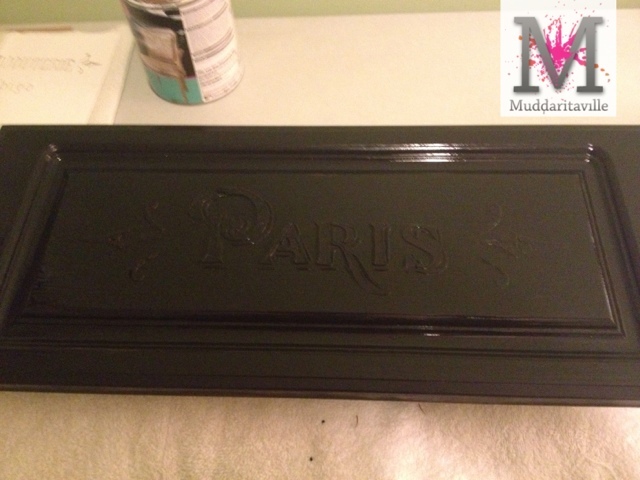 Here is the final reveal, with Muse as the top coat of paint, then distressed and waxed. Isn't it fun?! My passion is in working on pieces like this. Looks great, Joann. 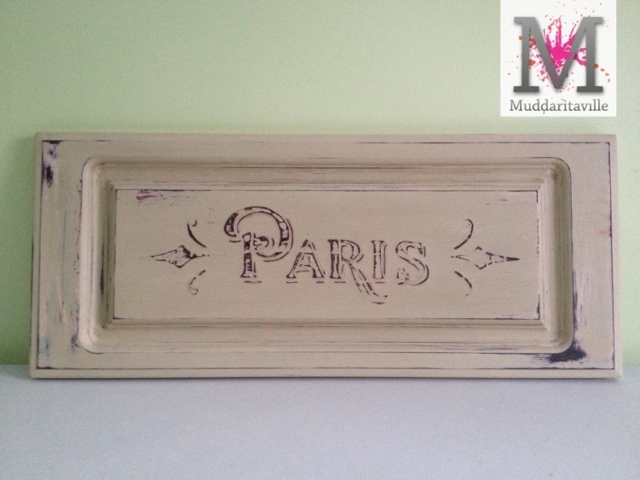 Love the texture that the plaster brings to the stencil. 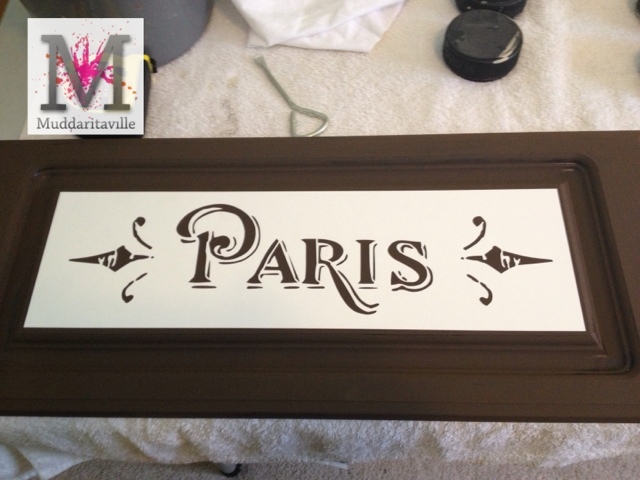 Do you use a Cricut or Silouette machine? I've been thinking of buying one and don't know which one to go with. Hi Heather, I use Silhouette, I'm even looking into becoming a retailer of their products. I had a Cricut first but it's not as versatile. Looks great. I need to know more about the plaster!! Love it! Gotta love HFH Restore for those cupboard doors. I picked up some more this weekend. I practise my finishes on them. 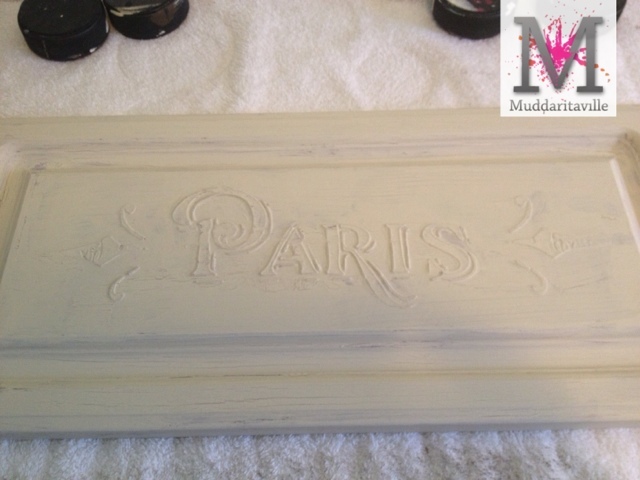 Do you do any prep work on the shiny surface first or do you just apply the chalk paint directly over it? Hi Janine, I will be sharing more soon on the plaster. I will have it for sale in mid to late March. Carole, most cabinets I paint right on, this one I just lightly scuffed with sandpaper first. 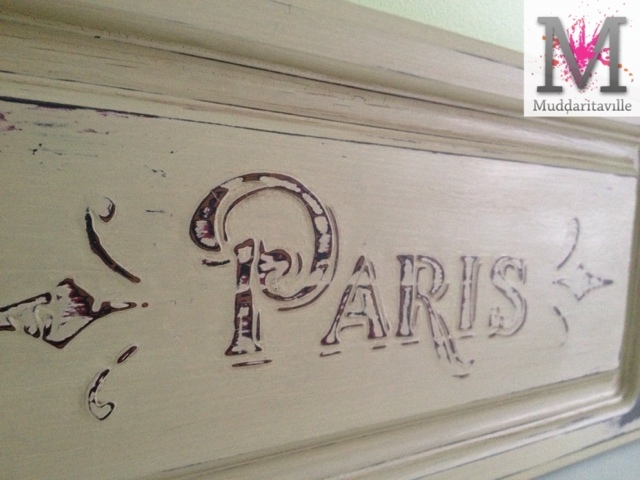 Fantastic job - just love the plaster work - can't wait to hear more details about it!!! LOVE the plaster work! What a great look to this, love how you have distressed it...want to know much more!! Do share with us the sideboard once you get it done, can't wait to see your magic on it.